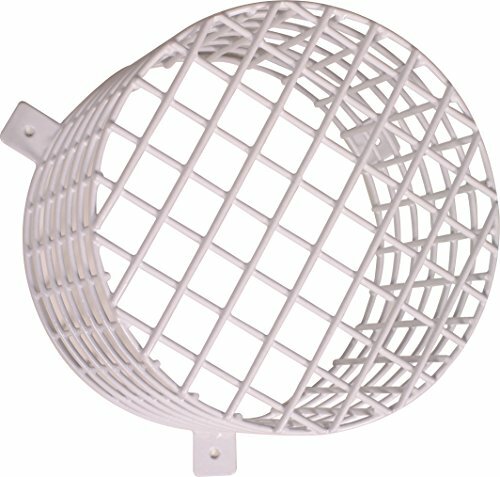 Safety Technology International, Inc. STI-9614 Beacon and Sounder Steel Wire Cage - Is there an area in your school or business that has heavy traffic? This steel cage is designed to protect beacon and alarms from vandalism and accidental damage. Constructed of heavy gauge steel wire with corrosion resistant Polyester coating. Designed to not interfere with the operation of the protected unit. Fast and easy installation, simple removal for servicing unit. Measures 7.9 inch W x 6 inch D. As all STI protective covers, this guard is backed by a three year guarantee against breakage in normal use. STI "We protect the things that protect you."